Corn plants dry in a drought-stricken farm field on July 17, 2012 near Fritchton, Indiana. The corn and soybean belt in the middle of the nation is experiencing one of the worst droughts in more than five decades. Indiana was the nation's fourth largest corn producer in 2011. As heat waves and historic drought afflict crucial crop-producing regions in the US, farmers and consumers are bracing for a critically low harvest that will likely drive food prices sky-high. More than half of US soil is in poor condition due to the worst drought since the Dust Bowl, according to a July USDA Drought Monitor report. Corn crops have been hit particularly hard, with an estimated 38 percent in poor condition. Less severe conditions in 2008 triggered soaring food prices and unrest in many countries, and experts worry that a similar situation will recur. Data for the past decade shows the alarming rise in cost of some of the world's most essential crops. 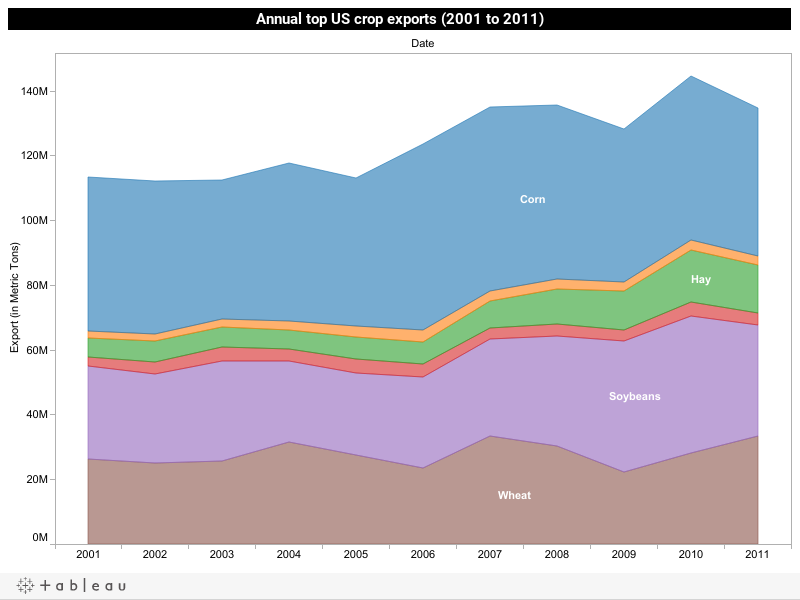 Export figures were obtained by the USDA Farm and Foreign Agriculture Service. 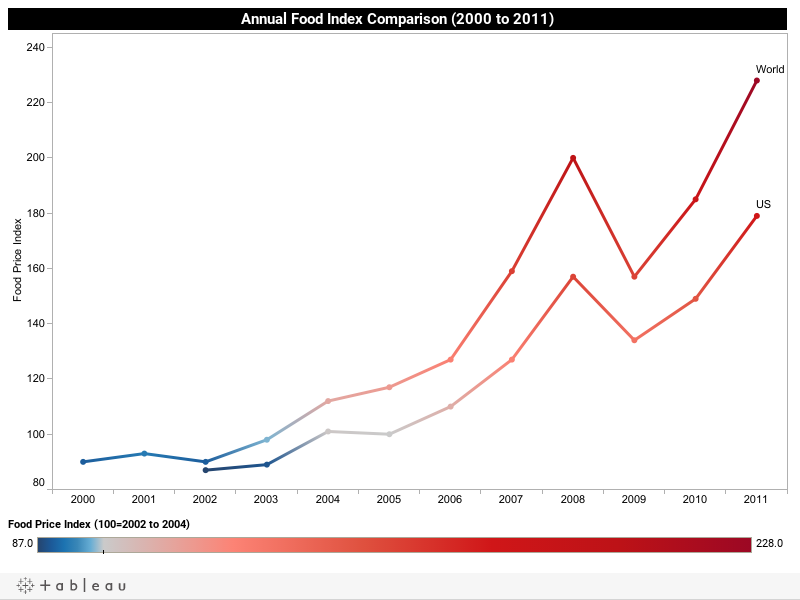 Food Price Index and World Hunger Index data were retrieved by the UN Food and Agriculture Organization and International Food Policy Research Institute. Assisted reporting: Kate Cavanaugh, Lydia Jessup, Jessen O'Brien and Jeremy Ravinsky.